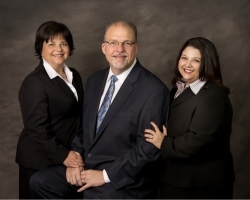 At Adams Law Group your bankruptcy case will be handled by a team of professionals who have been working in the field for more than 35 years. Here, bankruptcy cases are not rushed through to completion, nor are they passed off to an inexperienced intern. Instead, our professionals work one-on-one with each of our clients, ensuring that the individual needs and wants of each person are recognized and honored to the best of our ability. Each bankruptcy lawyer at Adams Law Group brings a unique set of skills to the table, and we all have extensive backgrounds in the field of bankruptcy law – both educationally and professionally. If you're looking for experienced representation with an assertive ability to get the job done right, you need Adams Law Group. You can learn more about what each of our attorneys have to offer by clicking on any of the links below. View the firm's profile at FindaBankruptcyAttorney.com.